Once again Francoise and I will be joining Sylvia’s friends in Cleveland for our 8th annual bike ride to remember her and others killed biking in Cleveland. She was killed biking to work on 9/15/09. We will visit her best friend Jill, Jill’s husband David and their year-old baby named…. 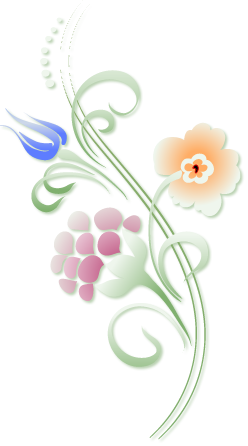 Sylvia (nicknamed Via). I hope you will take a moment on the 15th to reflect on Sylvia and how important it is to make the roads safer for cyclists. 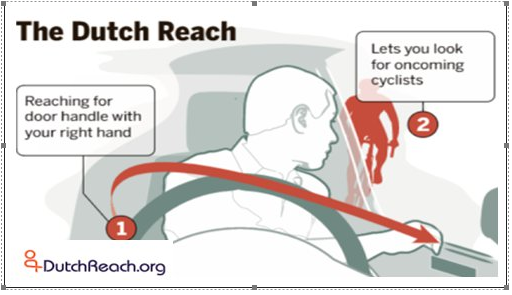 One concrete thing you can do is to use the Dutch Reach when exiting your car and tell others to do so. Up to 20% of major crashes are because cyclists are “doored.” See the Dutch Reach graphic posted here. Schools for Salone partners with local villages in Sierra Leone, West Africa, to rebuild the schools devastated in the ten-year civil war that ended in 2002. They have built 18 schools and 3 libraries since 2005. Once funds are raised, new schools are built in three months. They have also trained teachers at intensive summer institutes. Steve has a particular interest in Sierra Leone as he served in one of the early Peace Corps groups there, doing community development work from 1965-1967. He recently organized his fellow PCV’ers to donate to SFS.